Install an Econx smart-home system in your home or office and you could reduce your home’s energy consumption and save significantly on your monthly power bills. Econx can connect to a number of features in your home, which means you can take real control over how much energy you use at last. What’s more, team your home up with a wholesale energy provider such as Flick Electric and you could watch your power bills go down and see your power savings go up. The key to reducing your power bill is control. With Econx you can set and forget, make daily changes, or adjust setting as the seasons change. Because Econx gives you control over a number of features you could decide how and when your hot water cylinder heats, set lights to turn on and off automatically and heat your home cleverly. All of which means you’ll use much less energy. 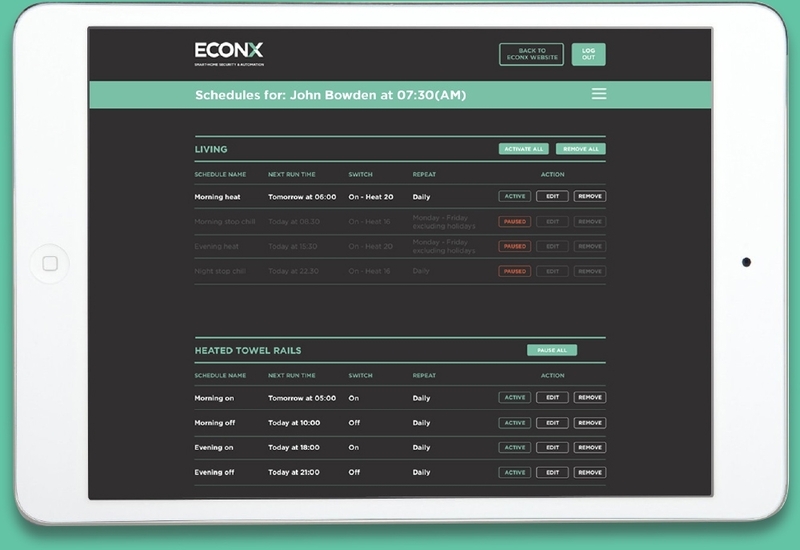 By using Econx to set operational times for off peak periods, controlling temperatures and scheduling boosts for before power rates are due to rise, some of the key home features you could save on include hot water cylinders, heated towel rails, heat pumps, solid mass heating, under-tile heating, swimming pools and spa pools. For even greater results you could configure your home for a real winning combination, with one of today’s wholesale power company options or solar power offerings. Using Econx to take advantage of the best opportunities to save power and money isn’t just smart, it’s super-smart. The combination of Econx with power company Flick Electric typically produces power reductions of up to 40% for the average 4-bedroom modern home. Add a swimming pool or spa pool to the energy consumption total and these reductions increase to as high as 50%.